This blog series has been a true gift. I have been so fortunate to have hundreds of women reach out to me – all in different stages of entrepreneurship – ready to discuss their businesses with me. I have attended workshops and events as a guest ready to learn about the business climate in the province, and the opportunities available to entrepreneurs in New Brunswick. I have even been approached by numerous government and private organizations who are keen to spread awareness of the services they provide to business owners. All of these conversations have enlightened me to so many things, including my own ambition to pursue entrepreneurship. In the months since I have been meeting and talking with women about their businesses there have been a few recurring themes that I’ve noticed. Similarly, everytime I publish one of my interviews I receive a round of emails and messages on Facebook from people asking questions about something they read. I want to answer some of your most frequently asked questions as best I can, from both what I have learned from other entrepreneurs and my own experience in owning a business. This will be an on-going series, so continue to send in your questions, and I will continue to uncover answers for you as best I can. 1. Write a business plan. I cannot stress this enough. Writing a business plan, even if you don’t think you need one, is an extremely important exercise. Not only does it force you to consider aspects of running the business you may not have thought to before, it makes clear your purpose and direction. 2. Forecast your financial projections for the first 3 years. Most businesses run a deficit for the first couple of years, so being prepared and having a plan is critical. This is also important for goal-setting and keeping yourself accountable down the road. 3. Find a mentor. Community over competition. Look for someone in your field that can help you out and answer industry-specific questions you might have. Go to coffee with a group of other entrepreneurs and swap stories. Bouncing ideas off of people and talking shop with others not only gives you an outside perspective, it provides you an outlet and community on the sometimes lonely entrepreneurial journey. 4. Determine if you really love what you’re getting into. Do not invest your time or money into something you aren’t prepared to commit to. There will be times you want to give up, so you have to find motivation and purpose in what you’re doing. How do you turn a passion or hobby into a business? Turning a passion or hobby into a business should be approached the same way as getting started in any other business. You have to take into account what people are willing to pay for your products, and compare that to what it costs you in time and materials to create. You should also consider whether your skills are scalable. For instance, someone like me who can knit 3 hats a day can’t really scale a knitting business beyond that, because I’ll never be able to knit faster. However, someone in graphic design or an artist able to make prints of their original works can scale. In the handmade and creative industries, it can be very difficult (but not impossible) to grow a passion or hobby into a full-blown business. On the other hand, if you love what you are doing then there is no downside to exploring a few business opportunities. Follow the guidelines laid out above to see if it’s feasible, but make sure you don’t turn something you love to do for fun into something you hate to do for money. What are some marketing tips? 1. Get a professional headshot. I’m always surprised by the number of business owners who aren’t the face of their business. Not only does a headshot speak volumes about the quality and professionalism of your business, it gives people a face to the business/product and creates a personal connection. Lastly, any publication (like this blog for example) will want a shot of the creator behind the business if they ever decide to feature you. 2. Branding & social media. Branding can refer to everything from your logo, the aesthetics of your website or business card and the general style of your advertisements, packaging or products. Strong branding gives your clients a sense of credibility and makes your business look viable and healthy. Carrying over the imagery into your social media channels is key. In order to learn best practices, study how other businesses conduct themselves online. Follow and learn from successful local businesses and large brands. Observe what you find appealing in their social media strategies and mirror that in your own. Something else that is key when discussing social media marketing is posting consistent and interesting content and engaging with your audience. 3. Be professional. The best way to market yourself is to give excellent customer service. Word of mouth is still the best way to grow your reputation organically with your local client base. How do I price myself or my products? I am surprised by the number of people who struggle with pricing. I think that a lot of the difficulty, especially for female entrepreneurs, stems from insecurity. Push that aside, because there is absolutely no point in working your tail off for meagre margins. Study your industry to find what others are charging for similar products or services. Take into account your overhead costs, inventory, time etc and determine what you have to charge in order to be profitable. Under-pricing yourself not only devalues your service or product, you wind up overworked and underpaid. Similarly, you could also be undercutting others in your industry and ostracizing yourself from a potential network of peers. When it comes to pricing, I personally think that the best strategy is lead with confidence, or if you can’t do that, adopt the “fake it till you make it” mentality. Don’t apologize for your prices and don’t offer an explanation for them either. If people aren’t willing to pay what you ask, they aren’t your customers so let them go unapologetically. Do not waste time and energy trying to accommodate people who don’t want to pay you for your work. Trust that your customers will find you and remember that saying no to someone frees you up to saying yes to someone else. Where can I get funding to help me get started? 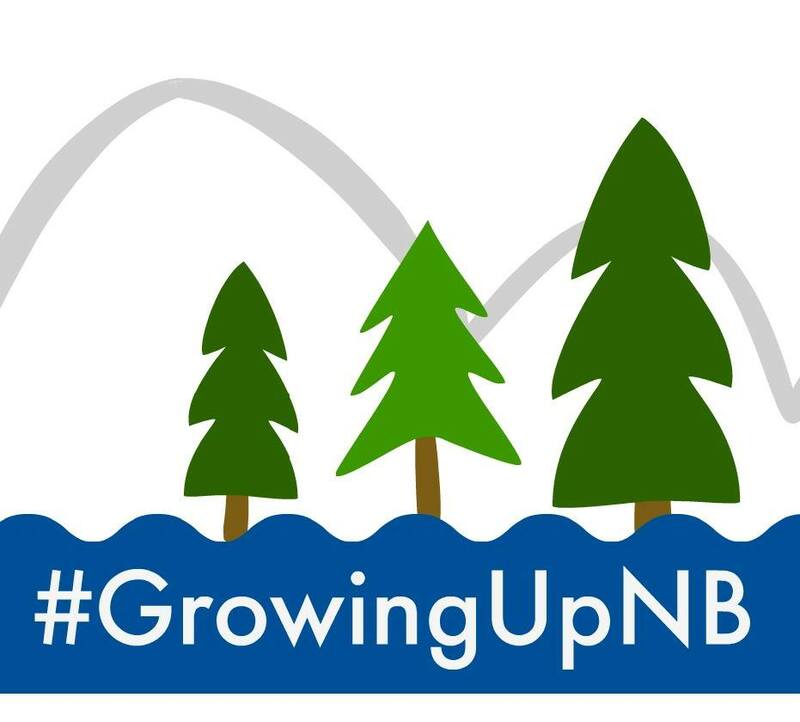 In New Brunswick, there are lots of places to get funding for your small business! Depending where you live, there are municipal government resources that offer venture validation and loan funding to entrepreneurs. In Saint John, we have Enterprise Saint John which oversees the Impact Loan Fund. Other organizations like the CBDC, 3+ Corporation, Ignite Fredericton, Futurpreneur Canada, and Opportunities NB have funding available to small businesses. All of these organizations also offer a variety of other services for entrepreneurs including venture validation, and accounting and legal services. Something else to consider is private funding. There are individuals in the province looking to invest in new and exciting businesses, and many offer more reasonable interest rates than traditional lenders. What other resources are there for small businesses? Aside from what was mentioned above, there are numerous other organizations and businesses that are designed to help small businesses. Every city’s Chamber of Commerce will have programs for local businesses and business owners. NBCC has a great community mentorship program called OASIS available in several cities across the province. Other organizations to look up that have programs are The Summer Institute, the B4C Accelerator Program, Momentum Canada, The Hive BIMP, and Propel ICT. There are also numerous government assistance programs aimed at helping small businesses, including the Employer Wage Incentive under the Workforce Expansion Program and the Youth Employment Fund.